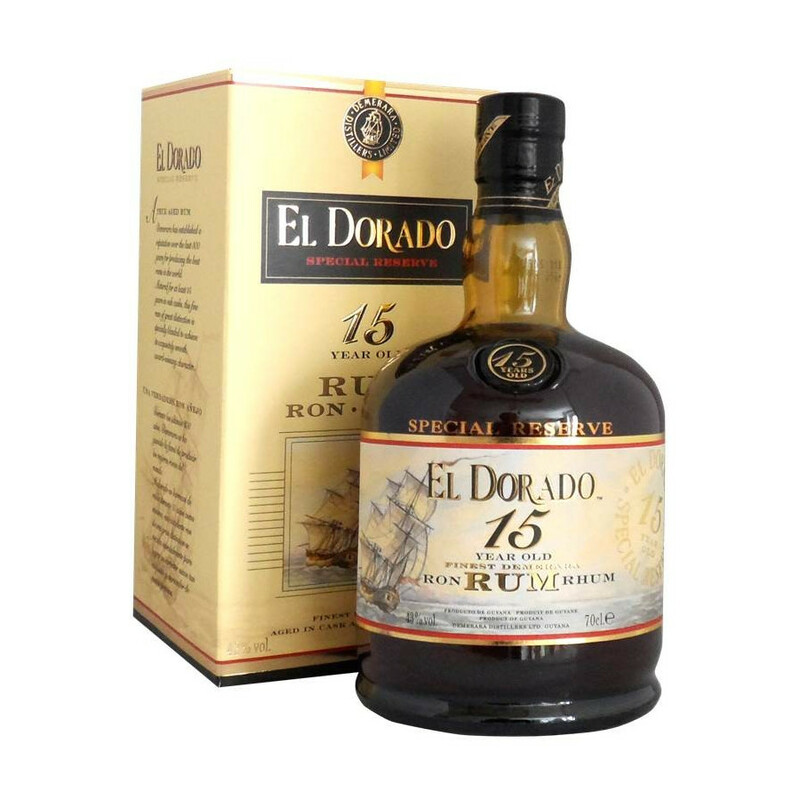 Born in British Guyana, El Dorado 15 Years Old is an exceptional blend of four old rums produced by Demerara Distillers, distilled in four mythical stills. 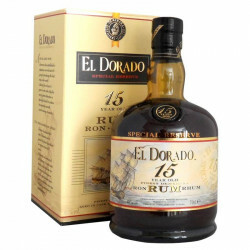 Born in British Guyana, El Dorado 15 Years Old is an exceptional blend of four old rums produced by Demerara Distillers. These four rums have been distilled in four mythical stills: Enmore, Diamond (Column Stills), Port Mourant and Versailles (wooden pot stills). They have been aged for 15 years to create this premium rum, blended with the renowned expertise of Demerara Distillers. El Dorado develops notes of nuts, vanilla and toffee with an oaky, spicy palate and exotic backdrop. A mellow, fruity rum. Nose: notes of nuts, vanilla, toffee. Palate: a fruity, mellow body with banana, exotic fruits and oaky background. Finale: oaky, with a marked return of the banana, pineapple, dried grape flavours alongside a refreshing note of cedar wood.